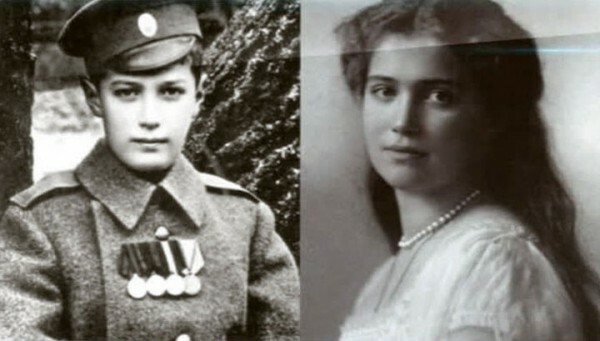 Moscow, December 24, Interfax - The remains of two children of Russia's last Emperor Nicholas II, Tsevarevich Alexey and Grand Duchess Maria, are in the Novospassky Monastery in Moscow, Sergey Mironenko, a member of the State Archive and a member of the governmental working group, told Interfax. “The remains have been provided to the Russian Orthodox Church and are in the Novospassky Monastery,” he said. On Wednesday, the Russian government press service reported on the decision to provide the remains of Tsevarevich Alexey and Grand Duchess Maria from the State Archive to the Russian Orthodox Church for storage. The remains will be stored in the Russian Orthodox until the end of the investigative actions. Alexander Zakatov, director of the House of Romanov chancellery, told Interfax the Moscow Novospassky Monastery is historically connected to the Romanov family. “The sepulcher of the forefathers of the dynasty before its enthronement is located there. Future Patriarch Filaret Romanov was father superior of this monastery for some time. Additionally, the remains of Great Prince Sergey Alexandrovich, who was killed by terrorists, was transferred to the monastery in our time,” Zakatov said. The House of Romanov is led by Grand Duchess Maria Vladimirovna, who lives in Spain. “Grand Duchess Maria Vladimirovna loves all churches and monasteries, but this monastery is special, the remains of many of her ancestors rest there,” Zakatov said. “If there is at least some hope that the Yekaterinburg remains are related to the tsar’s family, it is right that they have been provided to the church and have now been placed in the Novospassky Monastery,” a representative of the House of Romanov said. The government press service earlier reported a comparative study of the remains of Emperor Alexander III and the remains of Emperor Nicholas II is now being conducted as part of the criminal case and scientists expect to get the first results of this study in January 2016. The new genetic tests aim to resolve the issue of authenticity of the remains of Russia’s last Emperor Nicholas II, his wife Alexandra and their children.